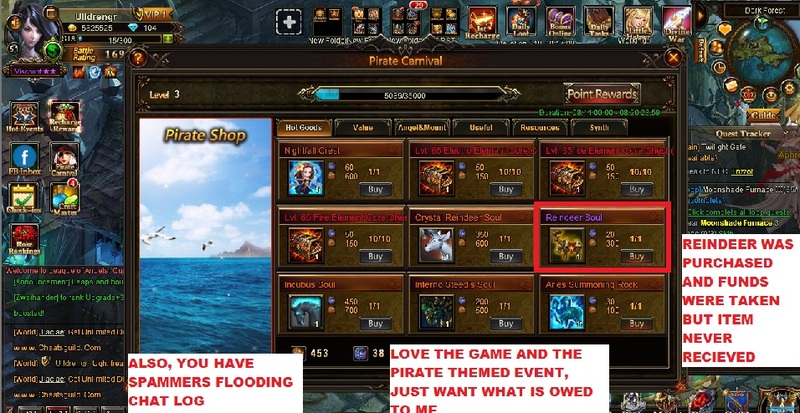 North America Forum»Forum ›League of Angels ›Support › Pirate Carnival Error? Posting screenshot in next message. Keeps saying file too large? Still hasnt appeared. Assistance would be appreciated. Not exactly the happy and productive update I would expect from a company who cares about its customers. 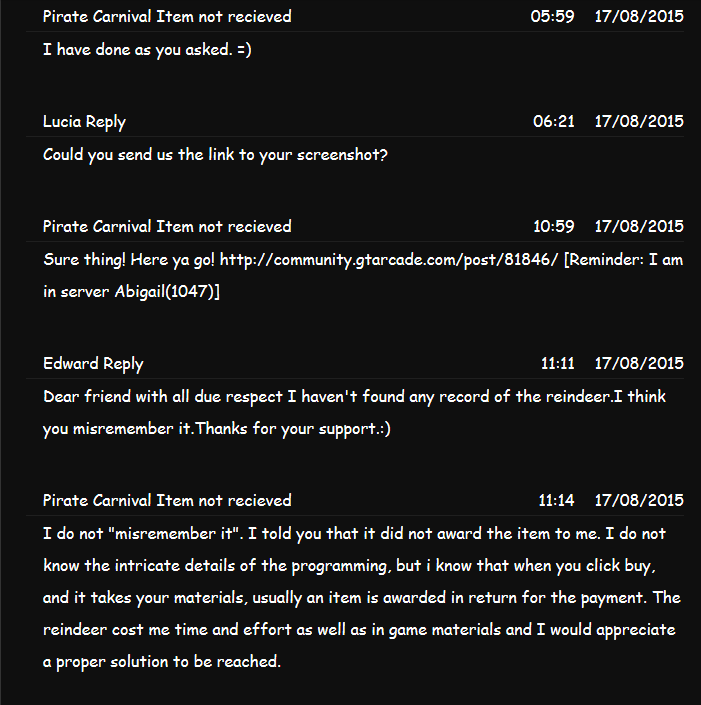 No response and no resolution. It is not appropriate, as a customer service individual, to talk down to your consumers. I am honestly rather aggravated with this. 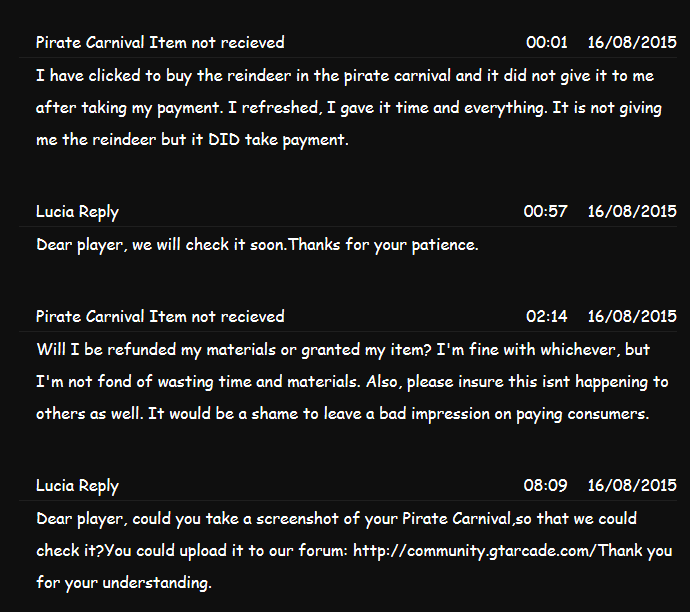 The reindeer isn\'t even an expensive mount in there. It isnt all that powerful. But the point of the matter is that I paid for it with materials that I worked for. And to be denied what I have worked for is just plain disrespectful, especially to a paying customer. 2019-4-21 00:57 GMT+8 , Processed in 0.114021 second(s), 52 queries .